Parveen Parmar, MD, MPH, Chief of the Division of International Emergency Medicine and also Associate Professor of Clinical Emergency Medicine at Keck Medical Center of USC, presented on the Trump administration’s impacts on global and national health. She began by noting her appreciation of this year’s focus and activities on engaging with the Trump administration’s impacts on law and global health in an objective, evidence-based manner. She then presented an outline to frame the discussion of selected administration policies and possible impacts on health as divided into direct hits and indirect hits. Direct hits, as she explained, include funding, direct policy and budget implications. Indirect hits, in contrast, affect health and bring up interesting questions that encourage interdisciplinary work. Dr. Parmar began by discussing the proposed budget that will set administration priorities. As she noted, funding of USAID is the main avenue by which global funding is dispersed. The US is the biggest funder to global health even as the funding is roughly 1% of GDP. Overall, funding has been reduced 24% from 8.7 billion to 6.5 billion. Malaria funding has dropped 44%. The Global Fund to Fight AIDS (reduced 17%), TB and Malaria is reduced by 17% at $225 million. With respect to reproductive health, she noted that it appears to be Trump’s goal to have zero funding for family planning. Initially put in place by the Reagan administration, the Global Gag Rule states that any organization that provides or supports abortion services will receive no funding from the United States. The Trump administration reinstated it and also extended to it to including anything that could be interpreted as encouragement of abortion services. According to an international analysis by the Guttmacher Institute, reinstatement would result in 3.3 million abortions, 15,000 maternal deaths (many of those from lack of safe planning family and abortion services) and 8 million unplanned pregnancies. 26 million women and couples would lose services with regards to family planning. In terms of HIV/AIDS, PEPFAR has an 860 million dollar cut proposed for their activities. Other proposed cuts include education programs, housing assistance for people living with AIDS. In terms of national funding, national health cuts include $5.8 billion with NIH and $4.2 billion for low income assistance. Other potential funding cuts include: children health insurance and federal Medicaid funding. She recommended reviewing an article by the American Association for the Advancement of Science that goes through all of the non-military funding that has been cut. Some of the indirect hits she wanted to discuss include environment/climate change, immigration and civil rights. One aspect that we will not understand for years to come is the wide-ranging implications of the US withdrawing from the Paris Accord on June 1, 2017. Environmental change is seen through: global warming, rising sea levels, heat waves, fires, hurricanes, cyclones, flooding, food insecurity, expansion of territory of vectors, emerging infections and increased pressure on land, increased threats to morbidity, mortality and security. An article in Health Affairs, “Six Climate Change – Related Events in the United States Accounted For About $14 Billion In Lost Lives and Health Costs”, reviewed six case studies from categories of climate change-related events projected to worsen with continued global warming (such as ozone pollution, heat waves, hurricanes, infectious disease outbreaks, river flooding, and wildfires). Objective evidence suggests that climate changes are on the rise across the world. She presented a photograph and discussed the influx of 300,000 refugees moving from Myanmar to Bangladesh, alongside US political attitudes towards refugees. There is a lot of anti-Muslim talk and resistance to refugees that is echoed (possibly influenced?) by the efforts towards a US Muslim ban and reversal of DACA. Physical impacts of these policies are stark, even as mental health impacts of these policies are unknown. One need only consider the impacts on children’s mental health of worrying if they will be sent back. 440,000 people are living here as “temporarily deemed unsafe to return” (i.e. Haiti, South Sudan, Nepal…) and currently the Trump administration is reviewing the stay of these people. She then discussed policies as they impact the environment and how our government interacts with corporations. One of her favorite examples concerns chloropyrifos, an organophosphate pesticide made by Dow Petrochemical. This specific chemical was banned by the Obama administration and by other nations in the world. It has been linked to drop in IQ with children, autism, deaths of multiple endangered species, and poisoning of farmers. Earlier this year, a pesticide drift affected a nearby farm at which 47 farm workers fell ill when a nearby farmer miscalculated the pesticide spread. When EMS arrived, only 11 people were present and only 1 agreed to be transferred to the hospital. Roughly 70% of farm workers are likely to be undocumented. She then presented an image of the CEO of this pesticide production receiving a pen from President Trump after he donated one million to his Trump inauguration. Coincidently, chloropyrifos were reinstated as an acceptable pesticide at roughly the same time. Thus the longer term and wide ranging impacts of how the administration’s policies interact with one another is something anyone concerned with health needs to consider. In terms of civil rights, DOJ has decided to not enforce consent degrees (which made police departments responsible for discrimination). Published November 28, 2016, Southern Poverty Law Center presented evidence after interviewing 10,000 schools, that 9/10 educators saw negative impact on their students and 8/10 reported increased anxiety from their Hispanic, Muslim and LGTB students. A quarter of these schools reported an increase of bigotry-related incidents. She closed by noting that as researchers, academics and students, we need to start thinking of how these policies affect the health of population we are surrounded by and work with. Collaboration between different disciplines is important. Dr. Parmar is interested in the role of academics in advocacy, maintaining objectivity, while maintaining allegiance to facts in a post-truth world and how to communicate things in a way that is understood. Dr. Parmar spoke for roughly 20 minutes and respondents from the USC Law & Global Health steering committee spoke for 2-3 minutes each. Alex Capron, professor at the Keck School of Medicine of USC and USC Gould School of Law, spoke first and he highlighted four intersections of law and global health around the issues just raised. He discussed international public health risks including threats to funding of United Nations organizations (such as World Health Organizations, PAHO and the like). He was also concerned about the amount of vectors and tropical illnesses that are moving north in Florida. He was reasonably optimistic about the health budget as the Senate and House seemed to be going against the President on this. Professor Capron also brought up the Afordable Care Act replace and repeal issue, criminal law and regulatory enforcement of the law – specifically with the opioid crisis. According to a New York Times article, the death toll included 59,000 with 142 people dying every day. This is equivalent to a 9/11 attack every three weeks. Criminal law is being used as the solution by the President to deal with the opioid crisis. He is not treating this as a medical crisis but as a severe criminal penalty. Charles Kaplan from the USC Dworak-Peck School of Social Work spoke next and he responded to the indirect hit on immigration. He agreed with Dr. Parmar that we do not know the mental health effects on immigration. He then noted that on August 31 Science published an article by a Stanford group on, “Protecting Unauthorized Mothers Improves Childhood Mental Health” that specifically looks at the effects of children with mothers affected by DACA. It showed that there is a serious exploding effect on the mental health of US citizens who are children. This childhood trauma and classic upstream causes of so many programs will generate a giant increase in childhood protective services. Social work is built out of childhood protective services. There will be an expansion of need. He alluded to Dr. Parmar’s mention of effect of delayed care. From his own experience, he concludes extreme stress on mothers due to deportation will have a profound effect on the future of the US, particularly if families are separated and displaced. At the minimum, 780,000 illegal immigrants will be affected. Childhood protective services is an important focus currently at the School of Social Work. Doe Mayer responded next. She is a professor at the School of Cinematic Arts and also Annenberg School of Communication & Journalism. She began by noting that she had an issue with the use of the word “objective” in such situations. She doesn’t see how that word helps us from a communication perspective. Subjective is a hindering piece of language and it stops us from admitting to having a genuine emotional response. She believes that fairness and an evidence-base focus is important but that the use of the work objective is not helpful. She’s interested in looking at advocacy and the audience we’re trying to reach and what arguments that would help us do that most effectively. Laura Ferguson, associate director of the Program on Global Health & Human Rights, she discussed services, research and advocacy impacted by the Trump administration, specifically in rural sub-Saharan Africa. She discussed the “Global Gag Rule,” its effects on medical facilities within communities and stressed that we cannot overestimate the effect of that loss of funding to these communities. As she reminded us, it is important to look at policies, however, ultimately when we’re discussing with these issues, is a question of people’s lives and it’s a lot of people’s lives at stake. She also alluded to the potential loss of clinical trials in tertiary centers around the world, emphasized advocacy and brought up the question of who “we” is and how the global South’s voice is heard in these conversations that will so directly impact people’s health in these countries. A lively discussion followed with the faculty and students present. Issues discussed included how to address the fact that this administration seems not to care about research and numbers and the sort of work one does at a university; the very real impacts of the changes in Trump administration policies for people in developing countries; the dynamic in Washington where Congress seems ready to take different actions than what is being suggested by the President; and the need for advocacy and awareness of these issues. With respect to our particular role as a university, a number of suggestions were made as concerns not only how we develop relevant research but package the information so it both understood and not misused, and find allies to transmit it within political spaces. It was noted that if certain groups (such as the rotary club, volunteer, church-based organizations…) are armed with great information in a format they can understand and work with, then they can raise awareness and hold power as constituents. The fact that as humans we resist data because it does not elicit an emotional response was discussed in this context, including the fact that data is just not enough: it needs to be clear who the audience is, and then to get them emotionally involved to be fully engaged with data presented to them if they are going to take action. 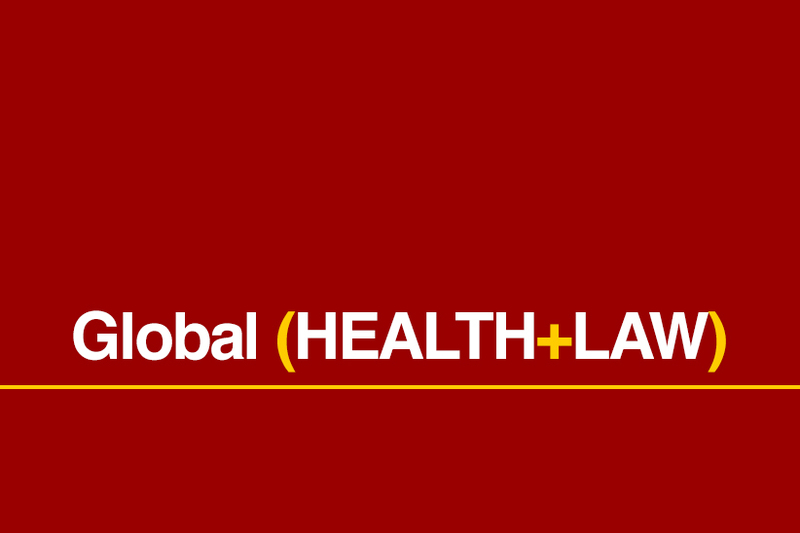 The USC Law & Global Health Collaboration would like to thank Dr. Parmar and the Steering Committee for sharing their time and expertise, and all present for their engagement in this important work.